Navarra is a one-province nation in northern Iberia. It is the only Basque nation in the game and starts off with the same dynasty as Aragon and Castile, either of whom usually vassalize Navarra. Navarra is the only country that can form both France and Spain without culture shifting. Historically most of Navarra was incorporated into Spain in 1512, while the northern part entered into a personal union with France in 1598, being merged into the kingdom proper in 1620. Portugal is often an easier country to play for a colonization-based game, Navarra holds two significant advantages for players looking to establish an overseas empire. Firstly, it gains access to +20 settler increase with its third idea, or soon after administrative technology 7, while Portugal must wait for its +15 settler increase until its sixth idea, after administrative technology 10 at least. This means that Navarra can potentially grow its colonies faster than its competitors in the early game. Secondly, Navarra only starts with one province, and thus it can move its capital to the New World as soon as a colony is completed in the desired location. This makes Navarra one of the best nations to play if the player wants to abandon the Old World; by moving Navarra's capital to the Americas, any province the player colonizes over there will have 0% minimum autonomy and will not have to form any colonial nations, allowing for the land to be colonized as efficiently as possible. While Navarra can stay on the continent and gain provinces from England and Aragon, this depends on allying Castile and/or France and having them win wars for the player, which may not always be possible or desired. Moving to the New World requires less luck in establishing a secure nation at the start of the game, and allows the player to grow into being a world power much more easily and without spending as many points on coring and annexing territory. Unlike many countries, Navarra will not have a lot to do in the very early game if it intends to flee to the New World. However, finding a strong ally until Navarra is ready to flee is very important. France and Portugal will usually be neutral at the start of the game, while Castile and Aragon can vary between neutral, protective, domineering, and hostile. If a level 1 statesman is available, then hiring it should allow the player to get an alliance with France, Portugal, or another neutral neighbour a few months after improving relations and securing a royal marriage. If Castile and Aragon are protective, then they can also be allied, but this may only last until they offer vassalization and they generally won't join any offensive wars. Generally, France can be allied even without a statesman after a while, and this should be enough to prevent a hostile Castile or Aragon from attacking before the player is prepared. Navarra's initial income is unfortunately terrible. Furthermore, with a land force limit of 6, Navarra will not be able to defend its territory single-handed. Thus, it is not worth building any Cavalry while the player is still on the continent. Instead, money should be focused on filling Navarra's naval force limit with Barques, which will pay for themselves very quickly and will be necessary for an eventual exploration fleet. Navarra has +20% naval force limit and -20% light ship costs as its traditions which helps greatly. Fortunately, Castile and Aragon may provide gifts and subsidies in their attempts to vassalize Navarra; use gifts to purchase barques (or save up if the force limit has been reached) and use subsidies to hire level 1 advisors if a profit can still be maintained. To escape to the New World, the player will need as many ADM and DIP points as possible to get a good headstart on Portugal, and Navarra's 4/1/0 monarch will only go so far. England during the Hundred Years' War could result in getting ducats and war reparations from both England and Portugal. The inflation from taking 200 or more ducats directly will be very large and expensive to buy down, but the treasury will be necessary to maintain colonies once Navarra reaches the New World. With diplomatic technology 7 and exploration idea 3, Navarra should be ready to colonize the New World. Navarra will be able to support a fleet of 3 barques and 2 cogs, which should be sufficient for exploring and sending enough troops to the New World to protect colonies. It is not worth building or keeping cogs until the player is ready to colonize, as protecting trade will be Navarra's main source of income and as much money as possible will need to be saved up for colonial maintenance. Start by colonizing somewhere on the coast of South America, and it should be possible to colonize of the Caribbean islands with the second colony. The other nations tend to not prioritize this region until a little later, so it should be quite straightforward to secure the majority of the Caribbean for Navarra. While colonizing the initial provinces, there will be a large monthly deficit depending on subsidies; this is why it is important to acquire between 500-1000 ducats through warfare before making the move. Navarra's income will be very small until it moves capital, so taking loans is not a feasible option. Make sure to save up at least 200 ADM points once Navarra has 4-5 colonies in the Caribbean, as the capital will need to be moved to the New World before a colonial nation forms. It may be worth moving the Capital even after the third Caribbean colony is completed, depending on how much trade income can be made out of the Bordeaux trade node. Once Navarra has moved over to the New World, things will start to improve for Navarra very quickly. Taking expansion ideas as the second idea group is important due to the extra colonist, settler, and beneficial events for colonies, while quantity is a good choice for a third idea group as it will unlock a policy granting a +20 global settlers increase if both expansion and quantity ideas are completed. Furthermore, quantity will help to mitigate the somewhat low base manpower of the Caribbean provinces and will let Navarra achieve parity with other European nations a lot more quickly. While moving the capital to a Caribbean island is beneficial at first as it is the fastest available option and it is geographically secure from hostile armies, moving to Panama is also a smart choice as it will allow for South America to also be colonized without any autonomy or colonial nations. 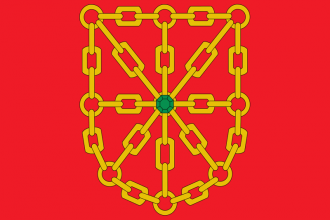 If desired, Navarra can move its trade port back to the Caribbean later to use Merchants more efficiently, once the necessary diplomatic power is available. By about 1550, it is possible for Navarra to have colonized the whole of the Caribbean, save one or two provinces snatched by other Europeans. At this point, Navarra will be strong enough to win offensive wars to secure territory from its rivals, especially if quantity ideas are chosen. A large income will be needed to keep the navy close to the force limit once colonization starts to speed up, so don't be shy about declaring war on natives for their large treasuries if nothing else. Navarra with control of the Caribbean and the Panama region will have about the same economic and military strength as Great Britain, provided that the player keeps up with technology. From here on in, Navarra has a lot of freedom in what it can do. Conquering the Mesoamericans will be fairly quick and easy, and all of the lands can be cored with minimal autonomy, letting the player make the most out of those rich Aztec gold mines. Religious ideas and Embracing the Counter-Reformation will allow for these lands to be converted to Catholic quickly, and will provide lots of papal influence to spend on increasing stability, mercantilism, or legitimacy, depending on the player's needs. Alternatively, if Navarra stays at 20 or fewer provinces and takes economics and trade as its second and third respective idea groups, then with a bit of luck Navarra can reform into a merchant republic using the Adopt Plutocratic Administration decision. However, this slows down the colonization process significantly and may not be worth it depending on what the other European nations are doing in the Caribbean, Panama, and Mexico. Keep in mind that production income will be very high if the majority of Navarra's provinces are in the Caribbean, so it may be necessary to build marketplaces and trade depots before the decision can be taken. Important natural harbors such as Cartagena, Panama, Havana, and Barahonas should be prioritized above other provinces. If the eastern seaboard of North America is relatively free, then it should be the player's next priority for colonization after the Caribbean and Mexico. Once a significant amount of trade power has been gained in the region, it may be worth moving trade port to Chesapeake Bay to make as much income as possible off the New World. However, trade ideas will probably need to be taken in this case to ensure that there are enough merchants to effectively steer trade from Central and South America. Once the capital has been moved to Panama, Navarra can expand into South America and deal with the Incan and colonial nations. Dealing with other Europeans here is less of an initial priority and more of a late-game goal.